Jeff Beck On Rod Stewart: "There's No Drive..."
IN THE NEW issue of MOJO – on sale in the UK today – Jeff Beck looks back on his last five decades as one of rock’s most innovative instrumentalists, his genre-splicing fretboard ingenuity propelling him from The Yardbirds and the Rod Stewart-fronted Jeff Beck Group to his immersion in jazz and solo success. 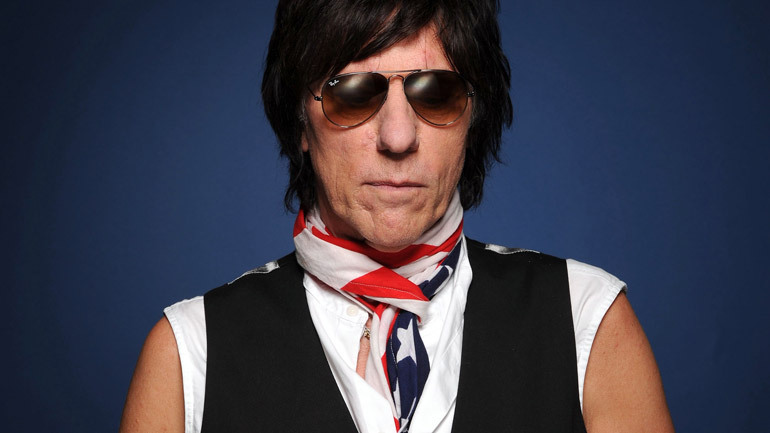 Read the full Jeff Beck MOJO Interview in the new issue. On sale in the UK, Tuesday, April 29. For Beck, it may have all started with the influence of rock'n'roll originators Gene Vincent and Little Richard (“Suddenly I was on a mission”), but it’s his explosive post-Yardbirds recordings with Rod Stewart (particular the songs on 1968’s Truth) that have remained touchstones in the heavy rock universe. The Jeff Beck Group recording Plynth (Water Down The Drain). Elsewhere in the interview, Beck talks declining an invitation to replace Mick Taylor in the Stones, touring with Brian Wilson, playing with Jimmy Page (“Maybe there could be mileage in playing acoustic music”) and his long-awaited new album. All this and more can be found in the new issue of MOJO magazine, which features an exclusive, mammoth interview with the mighty Black Keys. The issue goes on sale in the UK today (Tuesday, April 29). Vote For The Greatest Led Zeppelin Track Of All Time!